How do you know if your system needs upgrading? Electronic Design Company has a client that needed to determine what fixes were needed to the audio systems in the facility. They needed to know before they could send the repairs out to bid. EDC did an extensive system assessment to identify problems and gave budgetary pricing. We also worked with the client and a third-party company to qualify for a grant for energy credit savings with the new equipment we recommended. This allowed them to bid out the work for these areas. EDC assesses the functionality of a system, gives follow up reporting and recommendations, and provides documentation. 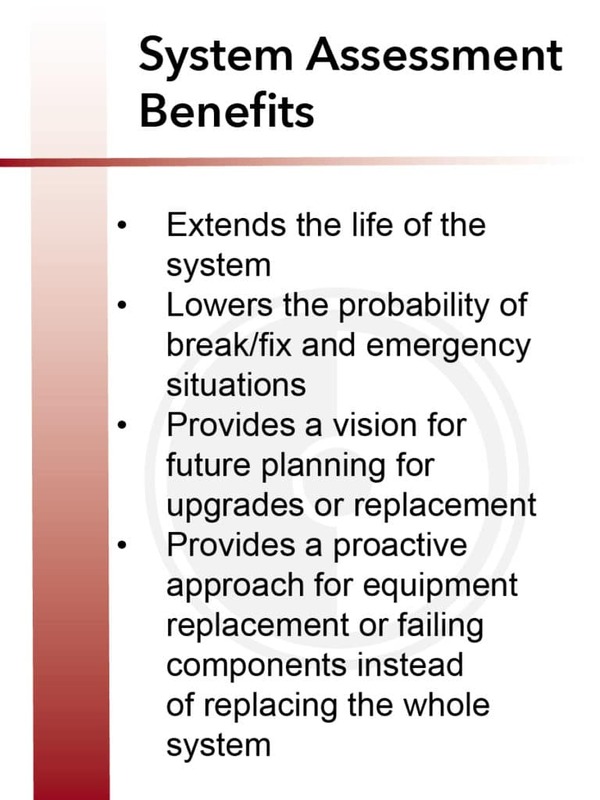 We can provide support for upgrades or repairs we identify in our system assessments.